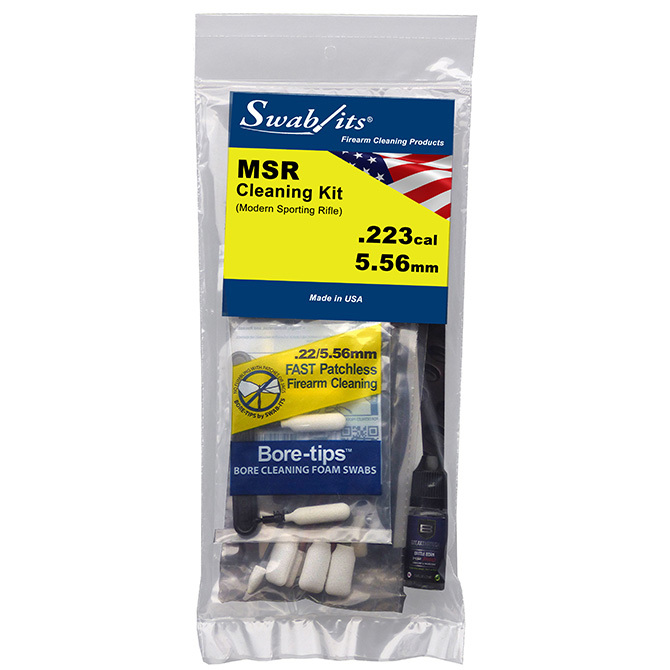 Reach a new state off flawless functionality with Swab-its .223/5.56mm MSR Cleaning Kit. Using lint-free and reusable tools combined with BREAKTHROUGH Battle Born HP PRO users can clean, maintain, and preserve MSRs. 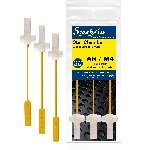 - Swab-its Star Chamber Cleaning Foam Swabs: Effectively cleans the barrel extension and locking lugs. 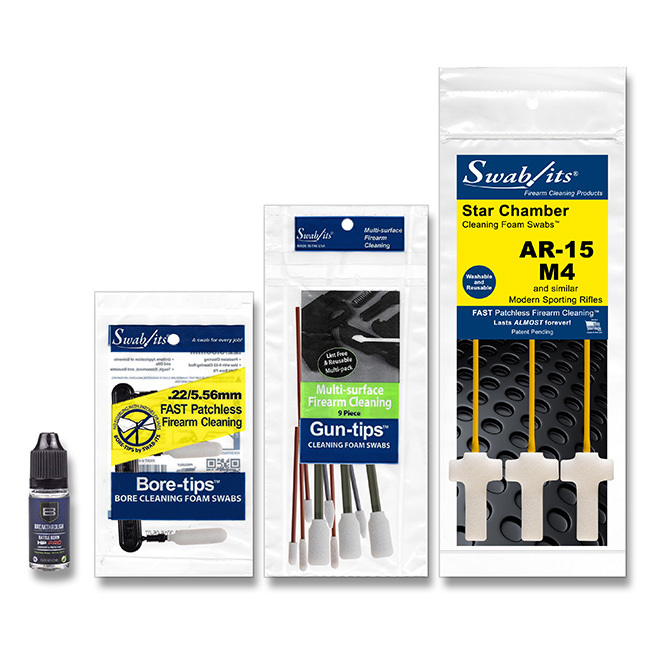 - Swab-its .223cal/5.56mm Bore-tips: Penetrate the deepest rifling and achieve 360-degrees of bore contact. Threads into 8/32 cleaning rod (not included).